Snowy Owls Love it on Ontario’s West Coast! Last week I received an e-mail with this awesome photo. Rita Christie of Staffa sent it to us. 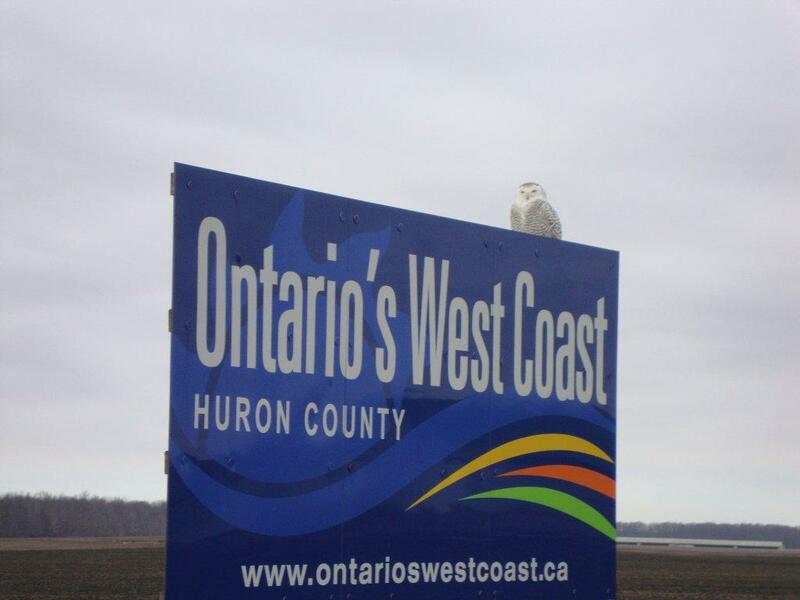 She was out driving and noticed this cute little Owl hanging out on the Ontario’s West Coast gateway sign. I thought I should share out to all of you!!! That is way cute, awesome and amazing all wrapped in one. Great photo!